If you're planning on wearing a suit with only a bra underneath, you'll need to find the right soft-cup style. 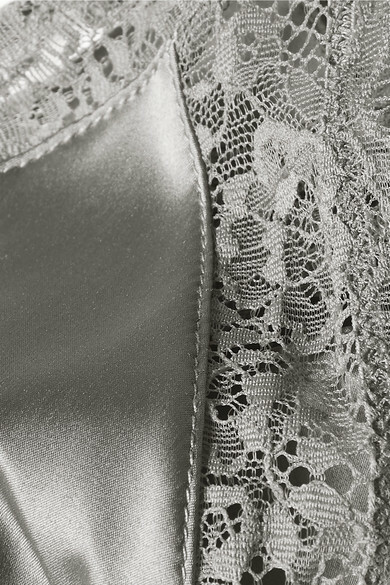 Trimmed with delicate lace that'll peek out from between lapels, Anine Bing's 'Winnie' design is made from lustrous satin in a triangle shape that provides coverage where needed. The gray hue will work especially well with white or metallic tailoring.